When it comes to surveillance, having a system that is reliable is imperative. It allows you to monitor all of the activities that transpire around the property and record any important events as future reference for prosecuting crimes of vandalism, theft, or trespassing. 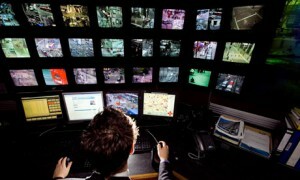 Many business establishments are turning to closed-circuit television systems as a means of protecting their property. For those who are looking to install a security system around their business, let’s look at some of the various types of cameras on the market today. Infrared security cameras, which are also referred to as night vision cameras, are able to work in a well-lit or dark area. When the area is lit, an infrared security camera provides you with a color picture; night images are portrayed in black-and-white. The main component of getting infrared cameras to work for you is harnessing the power of infrared radiation to detect body heat. Thanks to this amazing feature, the cameras are able to see at night. Just like its name implies, this particular security camera is in the shape of a dome, and is usually found affixed to the ceiling. 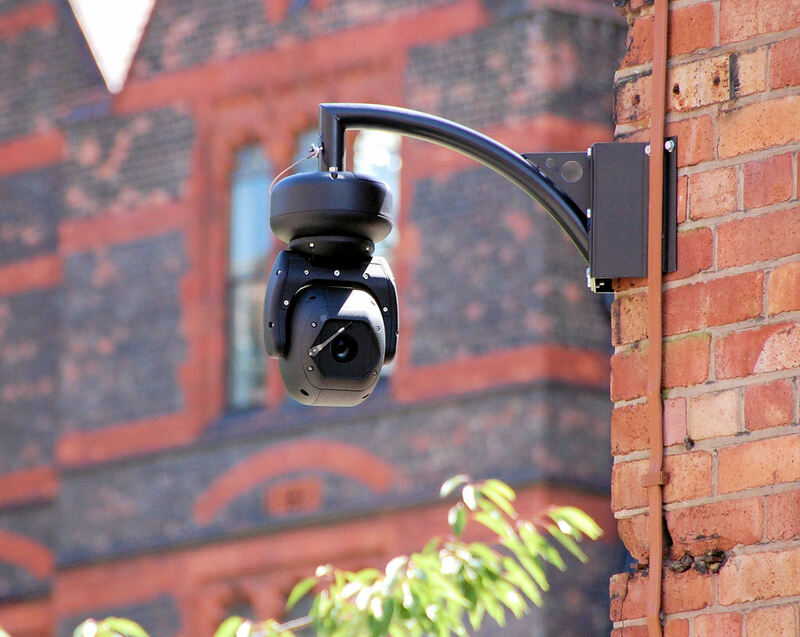 Dome security cameras will typically appear black in color; they are often used in banks to provide the necessary level of security while being out of reach for vandals. The main advantage to this camera is that the dome provides cover for the camera lens, which makes it difficult to decipher which direction the camera is aimed. An IP camera is one that is based on the Web. You can manipulate, view and record from remote locations around the world. Thanks to its built-in server, it is always connected with a network and has its own IP address for communicating and functioning via the Internet. Remote-viewing cameras can be a number of different recorders; anything from a CCTV camera to dome cameras will work fine. If you are searching for mobility, portability, disguise, and versatility, a wireless security camera might be just what you need. Even though these are often reserved (right word usage?) as spy cameras, a wireless camera can essentially be disguised as any item. Some of these cameras are small enough to go into the button of your jacket. Instead of using wires, these cameras use a transmitter running on batteries to help broadcast images to a local receiver. Surveillance systems are redefining the manner of protecting your business. With all of the options for security systems that are on the market today, they are being deployed in a variety of different locations, facilities and areas. 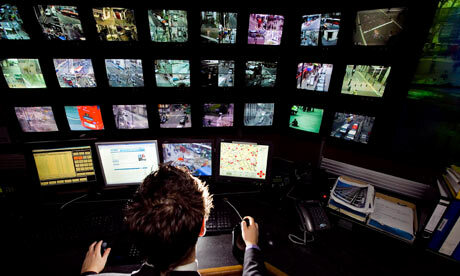 All of the recent advances in security systems have taken security monitoring to an entirely new level. Sophisticated security systems are able to thwart criminals dead in their tracks. The main purpose to installing a security camera around the property is to deter robbers, petty thieves, criminals, and other elements from engaging in criminal activities. Security cameras can be installed in a number of different locations. The cameras are meant to monitor suspicious activity and alert security officers about any vandalism, theft, or shoplifting going on in real-time. Staff that are monitoring the cameras and centrally managed systems in a large business will be able to inform law enforcement officials about any impending dangerous situation. Thanks to the new line of security cameras and command systems, you can now record audio. If there are any threats of sexual harassment or violent behavior in the workplace, it will be spotted and reported accordingly thanks to the security cameras. Audio recordings help buffer any legal case surrounding sexual harassment claims. Employees that are caught stealing and trying to deny any involvement will be caught in the act with the security camera. You will not have any problems being able to provide the courts with the necessary information to get justice on your case. Security systems will help to reduce the amount of insurance you pay for your business. Over an extended period of time, the amount of money saved on the insurance is going to add up. The security system will also help to prevent any fraudulent claims in the workplace. Theft, robbery, and vandalism cases will all be secured with the information provided by the security cameras. Businesses are able to reap the benefits of any relevant insurance savings by purchasing one of these security systems. Catching a criminal in the act is the underlying reason why people are using security systems around their business. Security cameras are getting more and more advanced. They can zoom in and out, bring still images into focus, and much more. Most of these cameras are located in banks around the country. You can easily move the cameras from one location to another in the bank. Panning the room helps provide you with a complete overview of everything in the space around you. Cameras can monitor the entire surrounding of the bank, tellers, ATM’s, and drive-through windows. Depending on the bank, some have monitors where the camera is connected to a network system that shows everyone in its range of view; other businesses will choose to implement security services into the equation. Regardless of what way you choose to go, the security camera will monitor your surroundings closely. It will amaze you at how some people will go to great lengths to rob a bank with a security camera in place. Most of the time, the security camera will reset itself in the evening to prepare for another day of recording. The tapes are all dated to prevent confusion on the date something was recorded. During the evening, the dated tape prepares for another day of recording. Security cameras are also placed around the ATM machine and drive-through to make sure all aspects of the business are secure. Some banks will use a security camera to monitor people leaving the bank. The size of the doorway can help determine whether a security camera is necessary. The underlying fact remains that you want to make sure the entire space is secure to prevent any theft, burglary or vandalism going unsolved. If the bank gets robbed, the security system will help identify the criminal and bring him or her to justice. In the majority of cases, the footage caught on the camera is enough to get an effective picture of the suspect. No matter how many cameras are put into the bank, it can never be enough. It is imperative that you have security cameras installed around the property to prevent any potential criminal activity. The more protection you have in place, the less likely someone is to try steal from your institution. Take the time to explore all of the various security options that the market has available for you to utilize. Choose the cameras that are going to accommodate everything you need and more; protecting your business is crucial to your financial future and success.